Visual Studio Code>Themes>City Lights themeNew to Visual Studio Code? Get it now. The City Lights Color Theme is a gorgeous dark color theme designed with focus in mind. 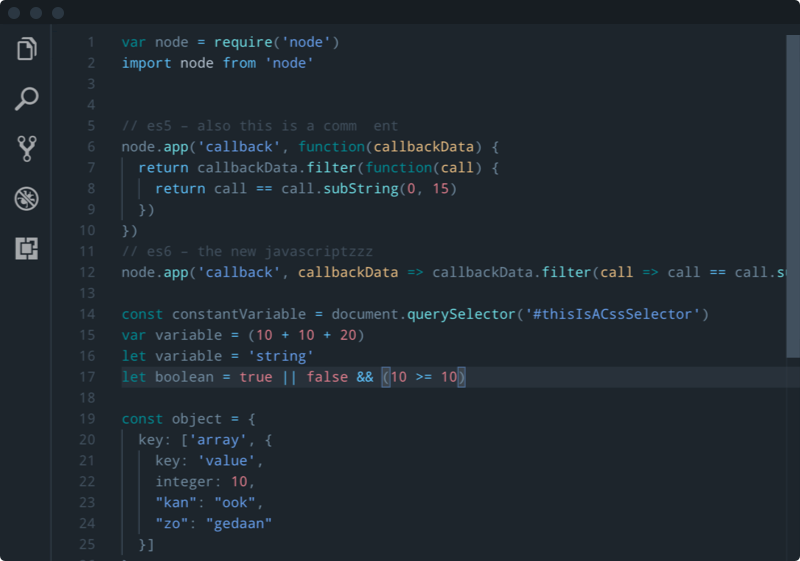 This City Lights Color Theme is a part of City Lights; suite of beautiful matte dark themed goodies for Atom & Visual Studio Code. For more information, please go to http://citylights.xyz. Are you enjoying the City Lights Color Theme? Don't hesitate to share your excitement. Also let us know if you'd like to see any specific syntax added by creating a Github issue. The City Lights Color Theme is available for free. If you're enjoying the City Lights Syntax Theme, feel free to help us crank out updates even faster by donating a coffee to us via PayPal.